While Peoples Bank Theatre does not have its own parking lot, there are six lots within a short distance of the theatre, in addition to on-street parking throughout downtown Marietta. 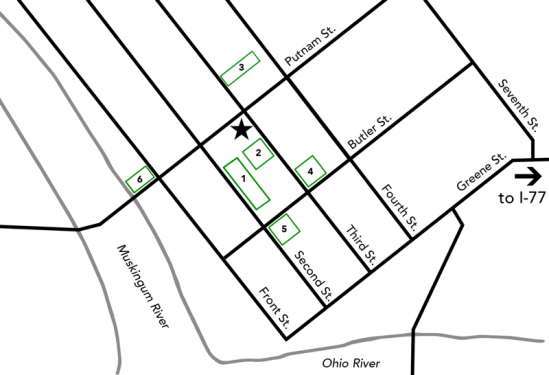 The map below shows the location of parking lots available to Peoples Bank Theatre guests for evening events. Most are within one block of the theatre, which is located at the corner of Putnam Street and Third Street.